The best way to judge public relations professionals is not by what they do or how they act when times are good, but how they respond when things inevitably go wrong. That's how Pietro Zollino came to be Volkswagen's chief communications officer in North America in 2016 as the brand struggled to regain its footing from its diesel emissions crisis. 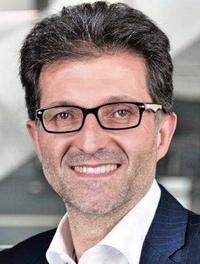 A native of Italy with degrees in physics and medical physics, Zollino joined Volkswagen in Germany in 2012 and headed its global product communications, among other responsibilities. But over the past year, Zollino's brand of blunt honesty has stood out most. As Volkswagen continued to suffer the hangover effects of its wrongdoing — including having high-ranking executives locked behind bars — Zollino, 51, was a zealous and outspoken proponent of the company accepting responsibility and humbly asking forgiveness from its customers. The common sense and human approach may have caused more pain early, but likely helped Volkswagen cauterize the open wound left by the scandal and return to doing what it does best: making and selling automobiles.